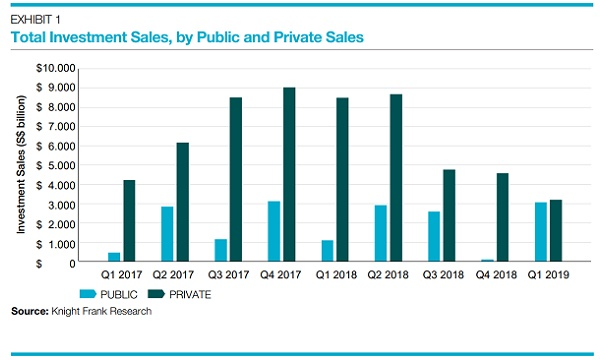 Property investment sales sales fell 12.5% YoY to $31.4b in 2018, CBRE revealed. Their findings point out that preliminary property sales in Q4 crashed 59% QoQ to $13.7b. In the residential market, CBRE noted that H1 saw 31 residential collective sales that were purchased for a total of $9.69b. However, the cooling measures that were laid down in July curtailed such euphoria, as en bloc sales plummeted by a whopping 95% HoH to just $484.08m worth of en bloc deals in H2. The en bloc fever which can be traced to late 2016 has seen previous record prices being shattered with the five biggest en bloc sales involving the Pacific Mansion for $980m, Tulip Garden for about $907m, Park West for about $841m, Pearl Bank Apartments for $728m, and Goodluck Garden for $610m. 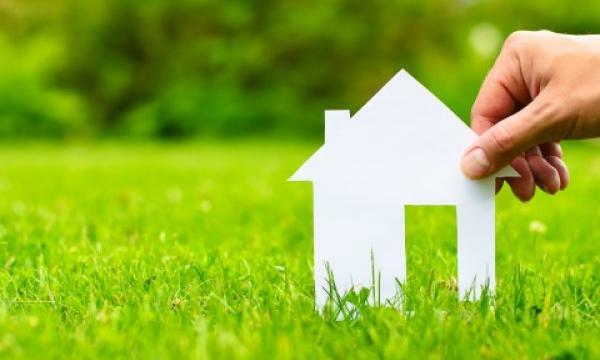 But more recently since the property curbs had taken into effect, a lot of en bloc attempts were unsuccessful, causing residents to put up properties to vye for a possible second chance of selling. One of which was the Park View Mansions that have just relaunched its en bloc attempt on 12 December at a 22% discounted price of $250m from its original price of $320m on its first en bloc attempt. “Moving ahead, developers are expected to continue to be discerning in land acquisition due to heftier costs,” CBRE said. Amidst the drop in the volume of deals in the residential market, the property sector takes refuge in the office segment as CBRE noted that Singapore remains as a top pick for foreign investors. They mentioned some notable deals including Allianz Real Estate’s acquisition of a 20% stake in Ocean Financial Centre for $537.3m. In Q3, Cushman and Wakefield noted that office sales jumped 54% QoQ to 2.1b in Q3 from $1.37b worth of deals in Q2. Cushman and Wakefield Singapore head of research Christine Li said that the office sector, together with the industrial sector, will likely remain to be attractive in the near term with liquidity remaining high and developers looking out for diversification. Amongst the major transactions in Q3 include the office component of OUE Downtown sold to OUR Commercial REIT for $908m, Westgate (70% stake, retail component) sold to CapitaLand Mall Trust for $789.6m and 55 Market Street sold to AEW for $216.8m. Other notable deals for 2018 include the acquisition of Manulife Centre by a joint venture between ARA and Chelsfield, and a direct 25% stake purchase by Kenedix in Capital Square. There was also the acquisition of 78 Shenton Way led by PGIM Real Estate, CBRE noted.